We have a large window in our living space and we enjoy the views of the trees outside. The only problem is from an angle we also have a view straight into the neighbours deck and house :-) Any ideas for a discreet window covering ? Maybe a white roller blind that you an see out of but they can’t see into. Or a soft white linen sheer curtain. 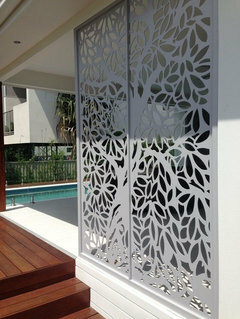 A gorgeous screen would look stunning and look beautiful day and night, it would give privacy and not hinder your view. 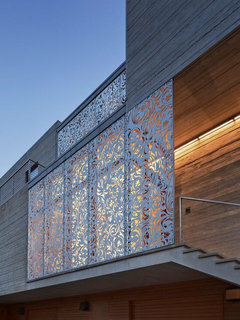 Hi Allison, the issue with blinds or sheers that enable you to see out and gives some extent of privacy during the day, they won’t provide the privacy at nighttime. 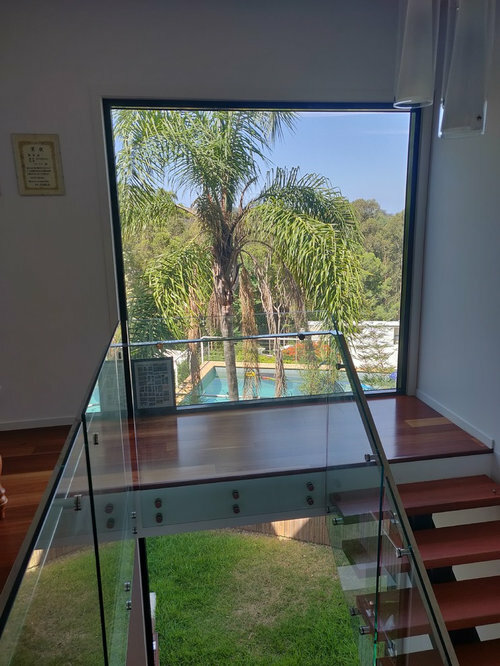 What is the most appropriate solution will depend on the level of privacy you want (from neighbour seeing some details inside, to total ‘you’re naked’ privacy!) 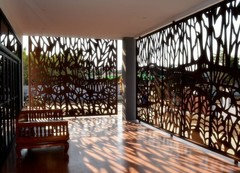 and how/when you use the space and fitting in with the style of your home. Is the neighbour the white building that can be seen in the bottom RHS of the window? 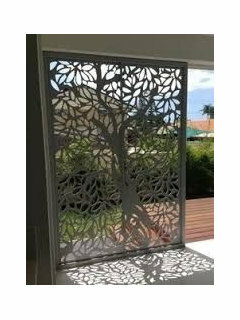 If so, and it is just privacy from them that you are requiring from a window treatment, can external screening like non invasive bamboo planting along the boundary be an alternative option? Need help with window dressing for privacy. Do you value privacy or views? need plenty of opinions.